Xiaomi company creates creative products in every field. 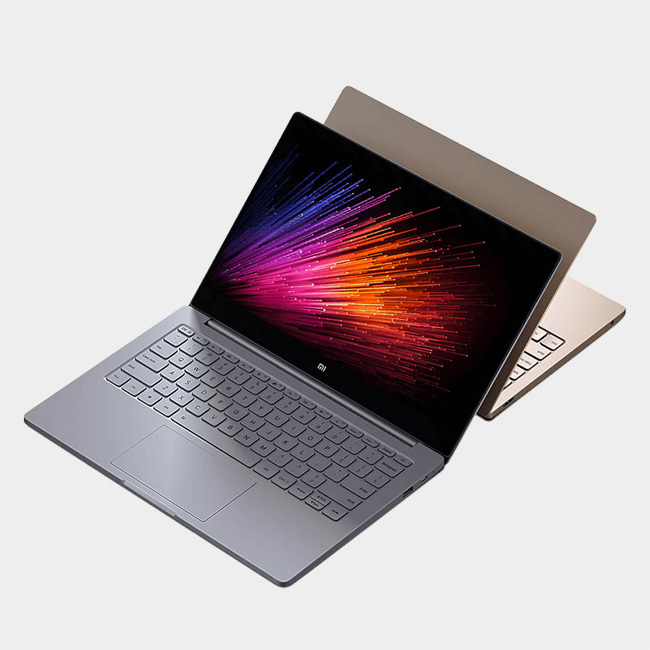 Xiaomi Xiaomi series notebook with a thin metal body and a low weight is one of the most popular and valuable products of Xiaomi. An innovative and robust laptop with a FULL HD display. Which one do you prefer: compactness or performance? If you're focused on performance, can you find a super lightweight notebook with a full-size keyboard and a 13.3-inch display? And if your device is more compact, you'll find it is not easy to find a fast and powerful CPU with a dedicated graphics card on such a device. Note that the Windows language for the laptop is by default Chinese (Bios is a fully English-made laptop) and you can make it English by switching it. Thanks to the fully matched components of the motherboard, they are also more complicated. The special technology of connecting screens makes them even thinner. It consumes at least energy due to the use of high-capacity batteries, as well as much less space-consuming batteries. Xiaomi has been able to generate linear linear portable laptops using these innovations, which combines robust performance and small size in one place. This device is located in almost every backpack or quality bag. It is easy to carry even with one hand, and it always attracts attention due to its superb appearance. Xiaomi's goal is to reach the highest, even in small things. Powerful processor from Intel® Core ™ and DDR4 and GDDR5 RAM, and SATA SSD drive for new and powerful games, without any difficulty and delay, create and edit video. You no longer need to choose between portability and performance. The choice between multiple versions of the laptop with the size of the page "12.5 to 13.3"
The new generation of Intel Core processors is 18 percent faster than the previous generation. They consume less power and performance at the same time, so you can watch 4K video without any delay. 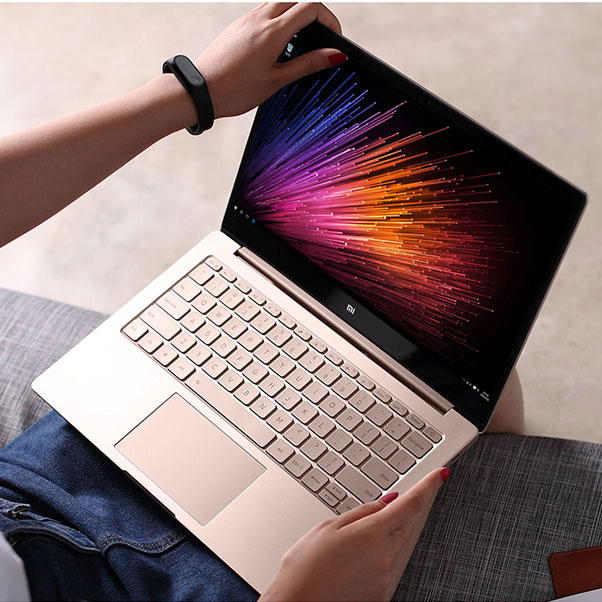 The 13.3-inch Air Xiaomi notebook has an Intel Core i5 processor but you can select the "12.5" model that uses the Intel Core m3 processor. The Mi Notebook Air has an ultra-thin bezel with a width of only 5.71mm, which adds an amazing 1920x1080 resolution and helps you focus on the image better. . A high-strength synthesized protective glass is made (7H in the Mohs standard), which makes the screen resistant to scratches. The special technology of thickness lamination reduces the air gap between the screen and the protective layer four times, which is why the possibility of radiation shrinking due to light refraction decreases. Enjoy the quality of the image, both at home and outdoors, even under sunlight. Such a small notebook with such a battery life! No, it's not magic, it's knowledge. For this purpose, Xiaomi has used batteries with a high energy density of 578Wh / L, which makes the batteries lightweight and you can use a fast charging feature via a USB Type-C port. Now it's possible to charge this device for only half an hour to 50%. Battery life 11.5 hours, fast charging. This device is suitable for use whenever and at any place, at home, on the go, while traveling. We know that you would like to listen to music directly from the laptop and watch the video. This device is equipped with speakers from the Austrian factory AKG Realtek ALC255 to enhance the sound quality and boost the bass. Superior Dolby Audio ™ technology makes the sound more natural and balanced. All of the newer laptops use the USB Type-C port and the Xiaomi notebook is no exception. You can use it to charge other devices, transfer data, and also output the TV. 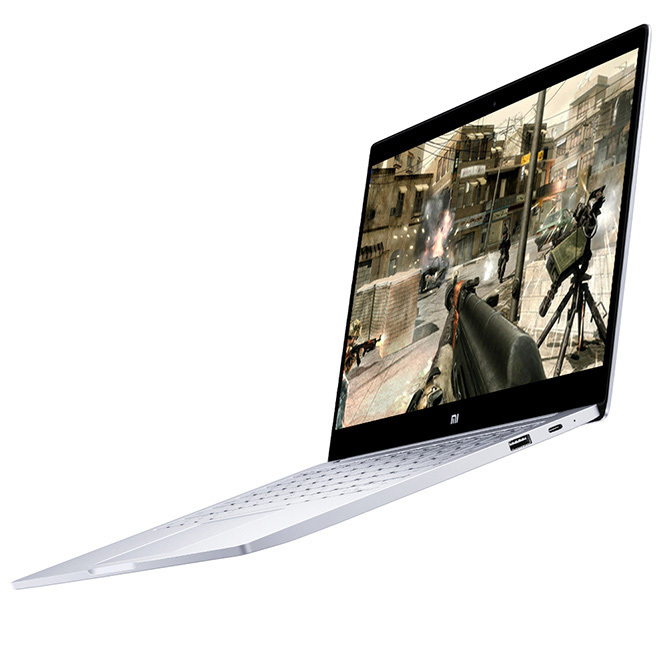 In addition, the 12.5 Mi Notebook Air has an HDMI output, a USB 3.0 port and a 3.5mm headphone jack. Such a variety of ports and outlets dramatically increases your choice. For example, you can use an additional display for work or pleasure. This adapter enables you to connect your external hard drive, USB flash drive, printer and additional monitor, and any other device that is equipped with a USB port to your laptop. The fastest way to unlock the laptop without entering the password is to use the Mi Band 2. When the Mi Band 2 is on your hands, the notebook automatically opens. In addition to the small and high performance of the Mi Notebook Air, there are many innovative ways to unlock the bracelet of one of them. A powerful, innovative low-noise laptop as a magazine. With a weight of just over a kilogram, the battery life and extensive use of the Air Xiaomi notebook will inevitably assist you to fit into your bag or bag.